what chapter is the last Аниме episode in the Манга ? 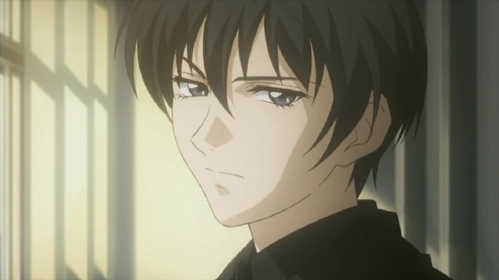 Eugene Davis is Naru's twin brother, a psychic medium who died before the series takes place. Called Gene by his brother, he was what is called a "perfect medium"; when he channeled spirits, he would speak in whatever language the spirit spoke, regardless of his own knowledge of it. This was seen by Oliver as proof that he was truly channeling the spirit, as opposed to simply using psychometry to communicate with it. Gene appears in the series as a spirit who guides Mai's visions. A paranormal researcher and the handsome 17 year-old president of the SPR, Shibuya Psychic Research. His nickname "Naru" is short for "narcissist", дана to him by Mai. a comment was made to the poll: Избранное Case in the anime? a poll Добавлено: Is Ghost Hunt one of your Избранное anime? Who voiced Naru in the english version of Ghost Hunt?